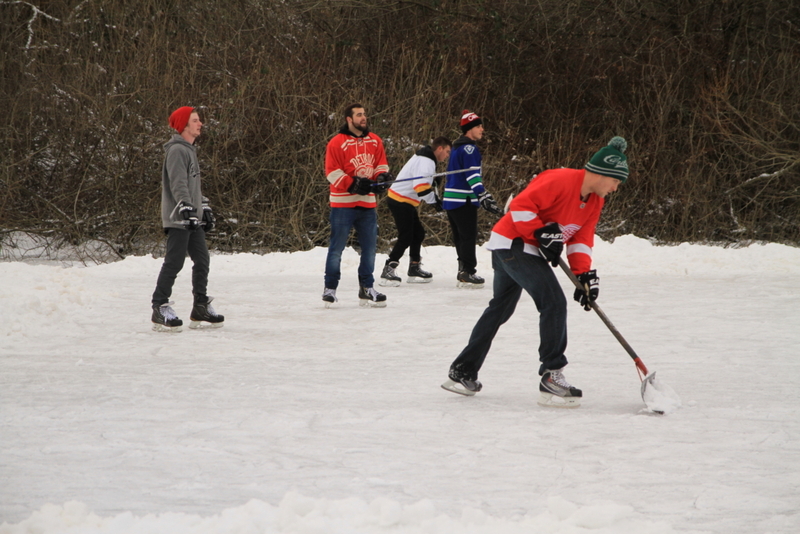 The surface of Trout Lake, a small pond in East Vancouver’s John Hendry Park, is frozen solid. This is a significant event in Vancouver. According to the CBC, we’re currently experiencing our longest cold spell that the city has seen since 1986. On Thursday, the City of Vancouver announced that the ice on Trout Lake was 5″/12cm thick – safe enough for ice skating. 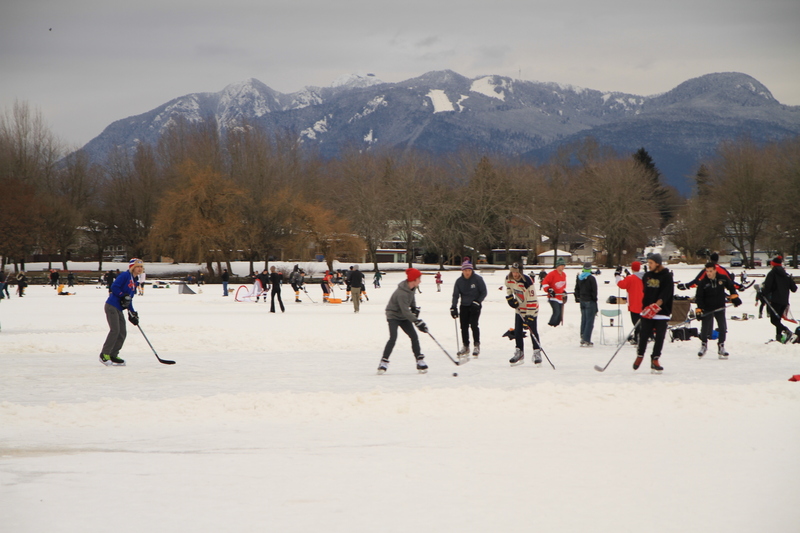 The following day I joined the local hockey enthusiasts and ice skaters to take in the traditional Canadian winter ambiance we Vancouverites so very rarely see. Here are a few scenes from my afternoon stroll on Trout Lake. 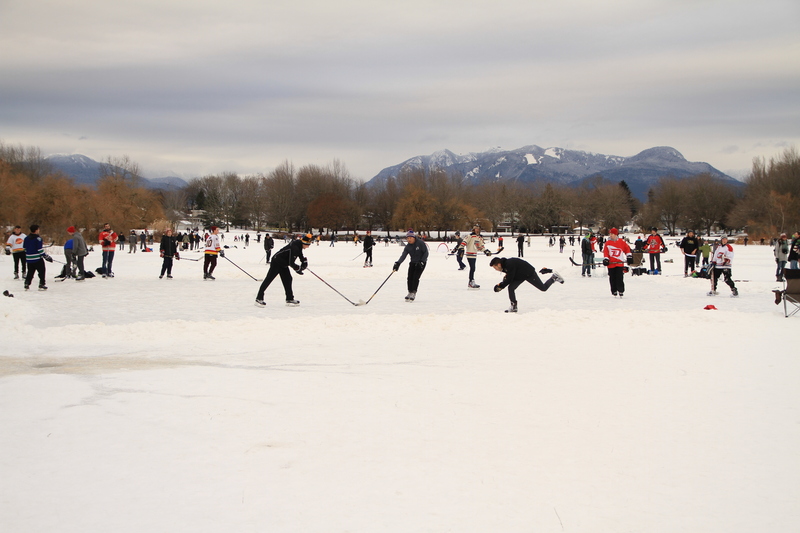 One of the many hockey games happening simultaneously on the surface of the lake. A swimming raft becomes a makeshift skater’s bench. Hockey’s such a male-dominated sport, but there were a few women out on the ice. 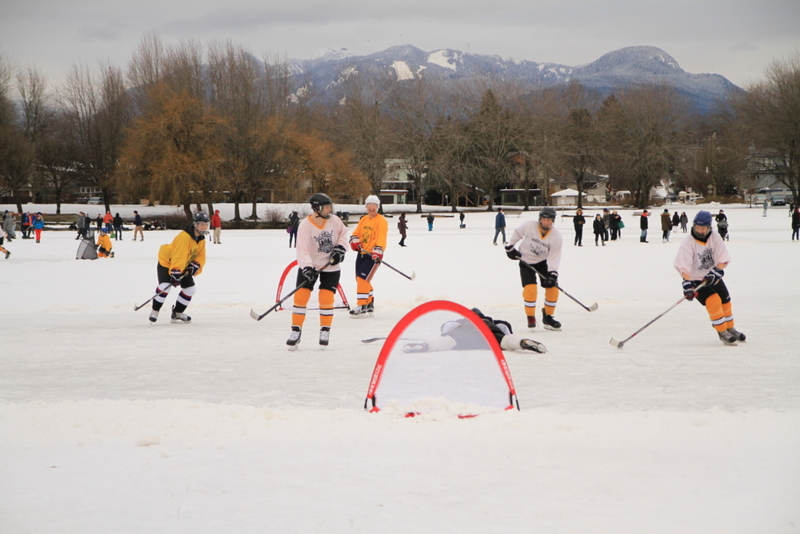 Amateur hockey teams were out in full uniform. The dog park was still very much active. Looking back at the park’s concession. The good ol’ hockey game is the best game you can name. 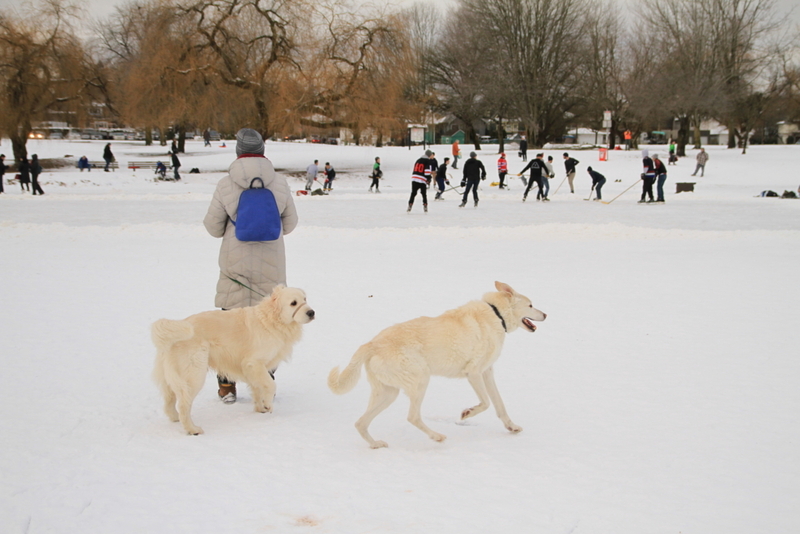 Edit: I dropped by Trout Lake again on Saturday afternoon and there were thousands of more people taking advantage of the ice, but there were a few signs of the ice thawing, like slushy sections 10 feet wide. 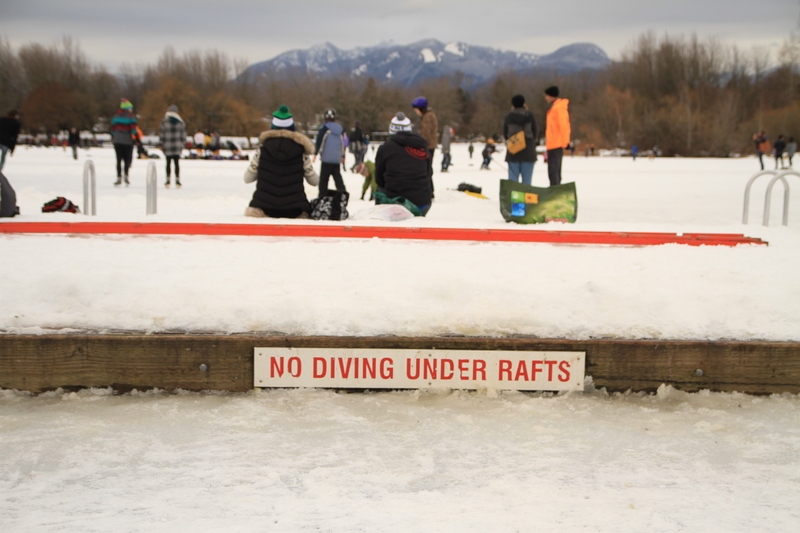 The following day on Sunday, January 8th, the City of Vancouver closed Trout Lake to skaters due to safety concerns. 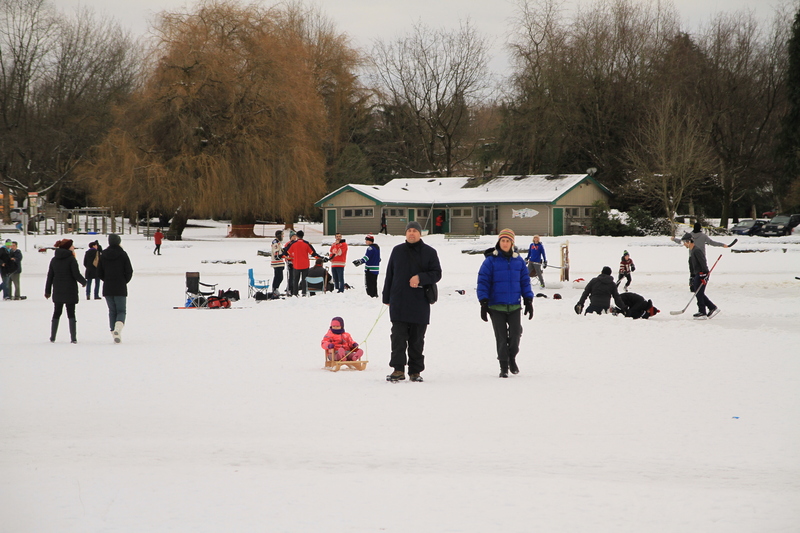 With temperatures in Vancouver warming up above freezing, those who were able to experience Trout Lake during those three days witnessed some rare (for Vancouver) winter magic. 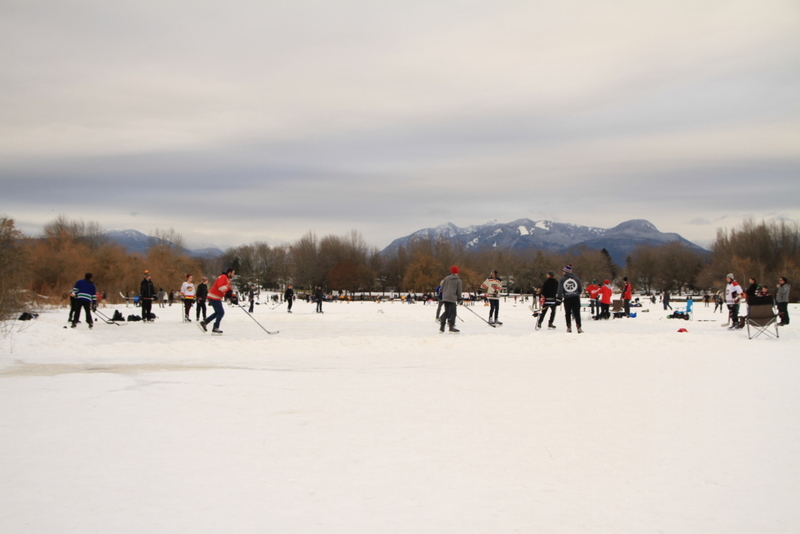 Were you at Trout Lake during those three days? Share your stories in the comments below! Thanks! Did you eventually make it out there? 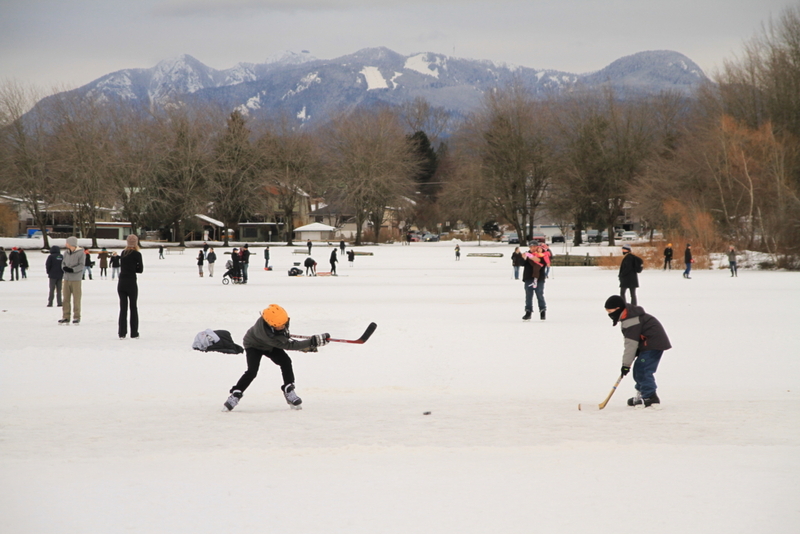 They closed Trout Lake today because it was thawing. 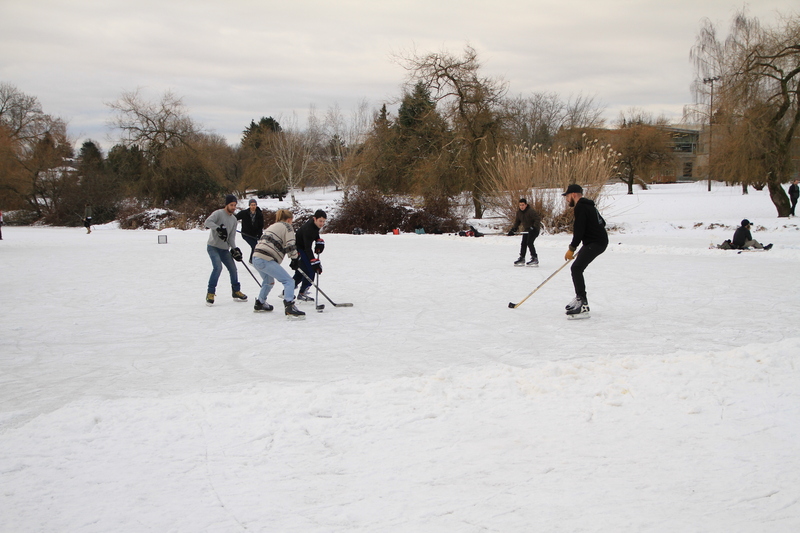 I went again yesterday and noticed slushy areas on the ice that didn’t exist on Friday. It’s crazy how fleeting that whole scene was!